The best deadlift shoes will put you as close as possible to the ground with a flat heel. Not that you can’t do them with a raised heel, but it is a little more difficult for sure. I can definitely tell a difference personally when my heels are flat as it makes it much easier to pull from them. If you are looking for deadlift shoes that can allow you to get into position better and pull more weight you’ve come to the right place! This page will probably read like an advertisement for Reebok. They make the only good flat soled shoes made for lifting that I could find online with their Crossfit Lite line. 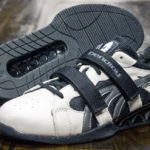 I looked for other brands just to offer a wider perspective, but there aren’t any except for wrestling shoes which have oddly shaped soles that aren’t ideal for deadlifts. While obviously, you can deadlift just fine in a shoe with a heel it just doesn’t feel as good as pulling from a flat heel. Also, don’t be thrown off by the “Crossfit” in the title. 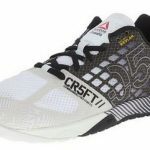 I am fairly sure that’s just marketing to appeal to a wider audience because these definitely are not designed for CrossFit compared to their other shoes like the Nano, Lifter 2.0, or Sprinter 2.0. 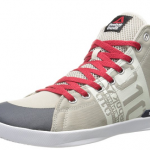 The CrossFit Lite has a wide toe box and a flat sole with a great design to really grip the floor. Details like that are most likely from the design inputs from Mark Bell and Chris Duffin, both accomplished powerlifters. There are two models to choose from, the LO and the high top version. While the fundamental aspect of the shoe (flat sole, wide toe box) is unchanged, the feel between the two will be different. Now, this model is going to be ideal for people who want some freedom around their ankles, and a shoe that is more similar in feel to Chucks. As you can see the lacing goes up quite high on this model to really strap your foot in place. 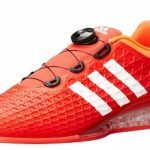 While the performance between the two models is going to be the same, which one would be more suited to you depends on the kind of feel you want out of a deadlift shoe. A huge plus to this line of shoes is that there is a women’s version of both of these. Most lifting shoes don’t offer that, which makes sizing and alternative colours much easier to choose. I don’t doubt that Chucks work for some people, but I have a feeling if they tried these they wouldn’t be going back. 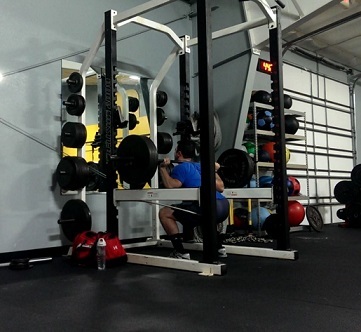 It just offers more for a lifter. No shoe is perfect for everything. If one was, everyone would wear the same pair for day to day walking, jogging, lifting, job interviews etc. Just like I show you the good in the shoes, I want to also show you some of the drawbacks. I don’t consider them major, but everyone will have a different opinion on that! First off, it is not a shoe designed for running. It just doesn’t have the support to do so and would be very uncomfortable, possibly leading to injuries. It is a very specialized shoe so it just comes with the territory. Secondly, some people could be put off by the CrossFit branding. For the record I have absolutely nothing against CrossFit (when it is done safely), I think anything that gets people in the gym is awesome. Lastly, I just want to emphasize that they won’t be the best shoe in the world for squats because of the lack of a raised heel. This is going to vary from person to person because everyone has a different degree of ankle mobility. Again, these minor drawbacks that I don’t consider to be deal breakers at all. It just helps to know EXACTLY what you’re in for when you’re making a purchase. 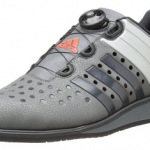 The best deadlift shoes are designed exclusively for deadlifts and they will perform that task well. I couldn’t bring myself to recommend any deadlift slippers. Firstly, they aren’t shoes so you might as well just lift in your socks. 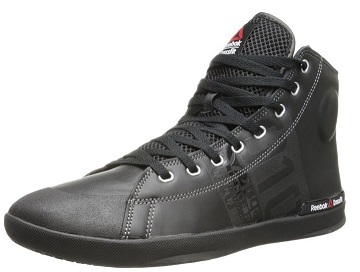 Secondly, for the price you might as well just buy a pair of deadlifting shoes. I know that some gyms have a no sock showing policy and that would probably be the only reason to ever buy a pair of these. I would much rather lift in a pair of shoes over these because they don’t offer any foot support and they look silly. Plus it seems kind of common sense to at least have a shoe covering your foot in the gym. 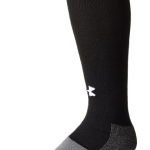 When weight is moving and there’s any chance of it landing on your foot – any protection is better than none. When I feel really feel like sticking it to the man I deadlift in my socks. No one’s said anything so far. 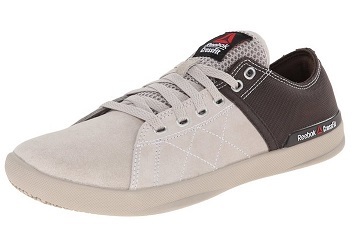 The Reebok Crossfit shoes are some of my favourite deadlift shoes available on the market. 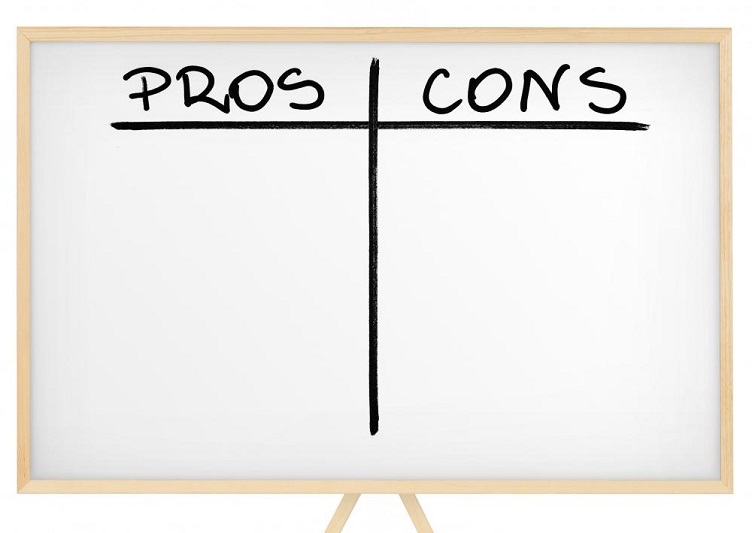 And unlike most things with a single choice available, that isn’t a bad thing in this case. They have an excellent design help you get as low to the ground and stable for pulling a ton of weight. They have no real drawbacks because they do what they’re supposed to. 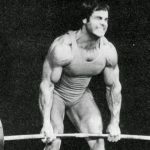 Deadlifts. 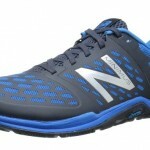 They’re also extremely low cost which makes them a great choice to have in addition to another pair of lifting shoes, it isn’t like you have to pick one over the other. I highly recommend them.